ST. GEORGE — A Hurricane woman arrested on a misdemeanor warrant Sunday morning now faces felony charges after credit cards under another person’s name were allegedly found in her vehicle. According to a statement released by LaVerkin City Police Sgt. 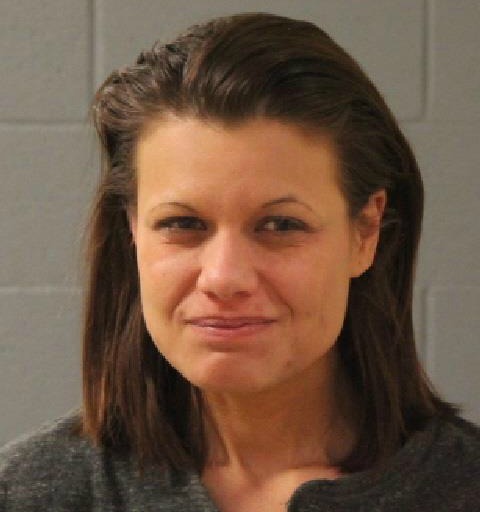 Amber Crouse, an officer patrolling the area of 500 North observed a vehicle “driving suspiciously” and ran the plates, which identified 31-year-old Nichole Sheree Estrada as the vehicle’s registered owner. The officer also found that Estrada had an active $2,500 cash-only warrant out of St. George. According to the statement, the defendant pulled into the parking lot of a nearby store and ran in, giving police a chance to verify the driver’s identity. After she left the store and pulled out of the parking lot, the officer stopped Estrada. While speaking to the officer, she denied having a warrant, Crouse said. She was then taken into custody while officers inventoried the vehicle, at which time two credit cards that allegedly did not belong to Estrada were found. Estrada was transported to Purgatory Correctional Facility where she was booked into jail on the warrant and also faces two third-degree felony counts of unlawful acquisition, possession or transfer of a financial card. At the time of this report, she remains in jail on $12,500 bond. Ten days prior to Sunday’s arrest, the defendant was released from jail on a misdemeanor vehicle burglary charge after posting a $2,290 bond. When she failed to appear in court Friday, the warrant was issued for her arrest. She was issued the burglary charge Feb. 13 after a man called 911 reporting a vehicle burglary at Anderson Junction. According to the probable cause statement written in support of Estrada’s arrest at the time, the caller observed a man inside his car rummaging through the passenger’s side compartment. When the suspect saw the car’s owner approaching, the report says the man ducked behind other vehicles and fled. Minutes later, the suspect allegedly jumped into the passenger side of a vehicle owned by Estrada. According to the statement, the driver, later identified as Estrada, fled toward Toquerville as the man reporting the crime followed behind. Police responded to the area and arrested Estrada and the male suspect after the pair was seen returning to Estrada’s vehicle.